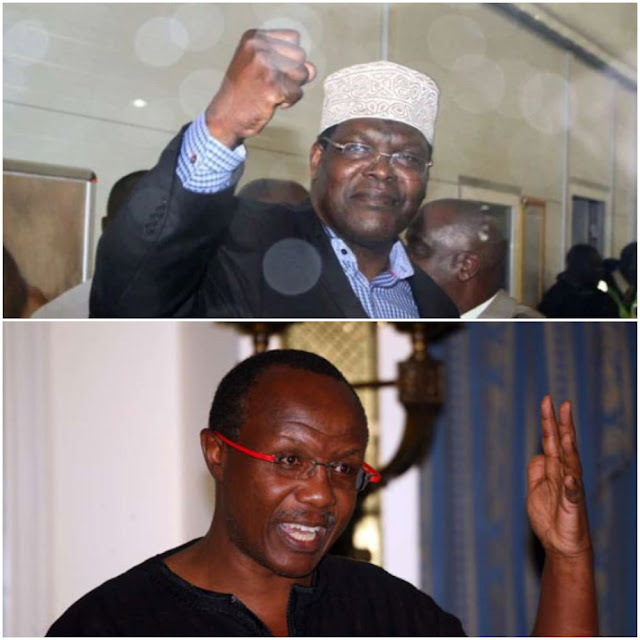 In a war that seems to have serious scores to settle, General Miguna continues to exchange words with David Ndii. This time they talk about a lunch, that Ndii boasts to have paid the bill for. Ndii, stop digging. You have already exposed yourself to be just another cowardly opportunist who was all along looking for money. If I am an anarchist, why did you join my FINAL STAND THINK TANK in 2017? Why did your fellow NASA cowards join the NRMKe and attend the swearing-in? Your one meeting think tank. Remind me, who paid the bill? The Open Society did and I am the one who sourced the funds. You have not accounted for the Shs. 5 million they sent us through your friend's organization. I will expose you badly if you continue digging. Kenyans still remember.